A NIGHT OF DANCE AND MUSIC! Come out for a night of truly authentic tango dance! These private outings take you beyond the commercial tango houses to experience first-hand the real tango of Buenos Aires. 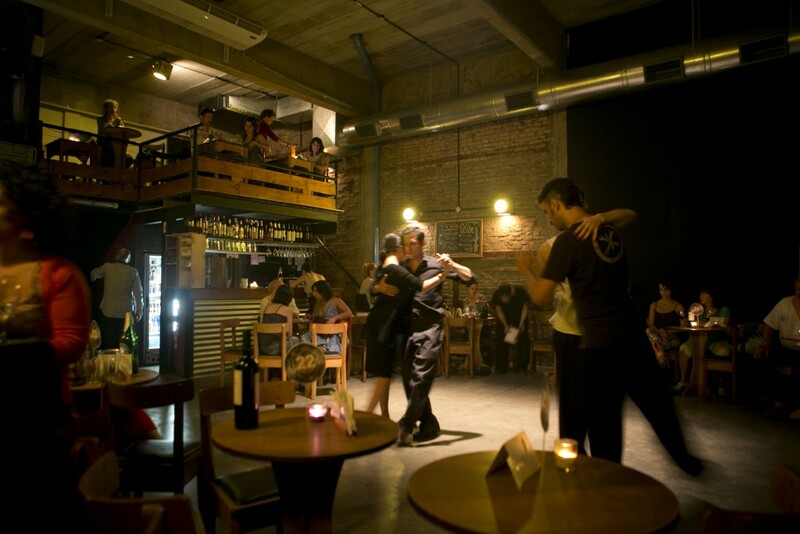 We introduce you to the vibrant milonga scene, the venues where locals go to dance tango into the wee hours of the night. You will learn about the fascinating history of tango, the special codes of the milonga, and see how porteños dance the night away in this captivating underground scene. Start time + Length: Tours start around 10pm (depending on the day) and last approximately 3 hours. Your guide will meet you at your hotel and travel with you by taxi to the venue. There you’ll enjoy a fine glass of Argentine wine as your guide takes you through the fascinating history of tango up to the present-day scene, giving context to the milonga of the evening. You’ll have a chance to watch people dance and of course join in if you wish. You’ll learn about milonga etiquette and all the spoken and unspoken rules that govern these social dance parties. Later in the evening there will be a live music show to accompany the dancers, and, if we’re lucky, we’ll also catch a dance performance by a professional dance couple! Milonga outings are available every night. Contact us with your preferred dates! At Clandestino we don’t believe in one-size-fits-all tours. We work with local artists, journalists and cultural tastemakers who have the inside scoop and carefully select each and every milonga experience. This means that there will be variations in each tour to accommodate different venue locations and schedules.